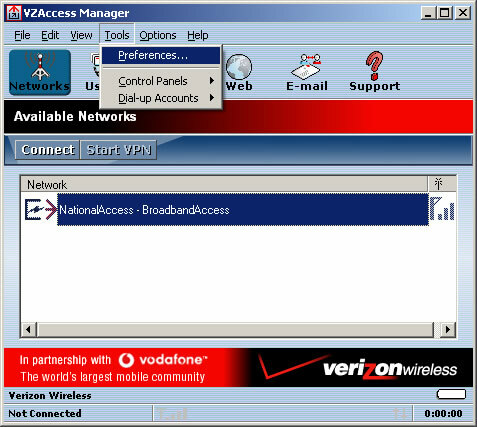 From the Windows desktop, double-click VZAccess Manager. Alternatively, click Start> Programs (All Programs) > VZAccess Manager. From the top menu, click Tools> Preferences. 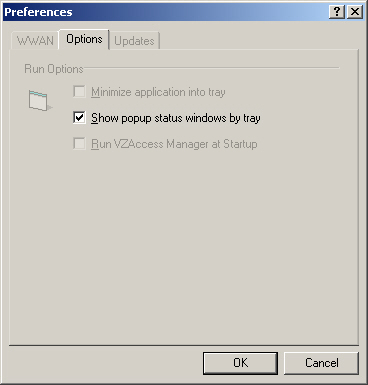 From the Options tab, set Show popup status windows by tray as desired then click OK.